‘Realistic sense of scale’ is an important feature of VR. Unlike the design on a square canvas, 3D space design with depth and height should enhance the presence viewers can feel. A person who works on space design focusing on that point is ‘Discont’, the VR space designer who won the PARCO award at NEWVIEW AWARDS 2018. 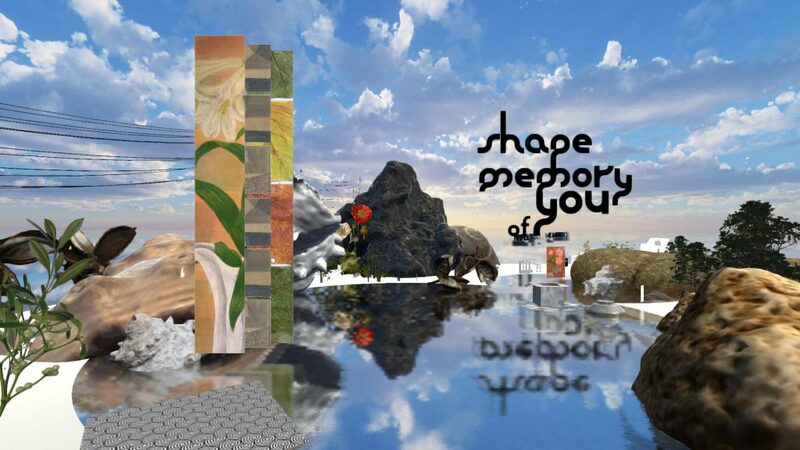 Partially because of his background in the Department of Architecture, he created the award winner ‘SHAPE MEMORY OF YOU’ with the theme of whether the architectural human scale could be brought in VR. He is always looking for the new 3D design in the VR era, but what made such a person apply for NEWVIEW AWARDS? I will close in on his aim while asking about how this VR work is created. Currently he works for a VR company in Tokyo. — First of all, please tell me about what made you apply for NEWVIEW AWARDS 2018. Discont: I had some turning points of my life during the application period of NEWVIEW and I was thinking that I should publish something for myself. At that time, I looked for the opportunities and learnt about NEWVIEW. Since I thought it’s an ideal place to publish my work, I applied for NEWVIEW. I sensed that my skill and knowledge miraculously matched with what NEWVIEW AWARD was looking for. shape memory of you from STYLY on Vimeo. — Various coincident events happened, right? How did you know about STYLY? Discont: Because I had already been interested in VR business, I knew about STYLY since its beta version was released. I actually started using STYLY for NEWVIEW. — I see. 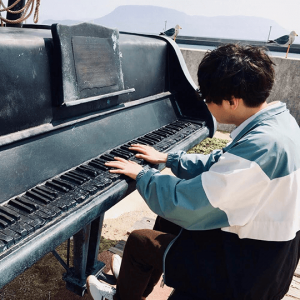 What is the concept of ‘SHAPE MEMORY OF YOU’? Discont: The original concept was ‘The reproduction of tearoom in VR space’. When developing the initial concept, I decided on the theme, ‘Bring the architectural human scale in VR’. So I thought a tearoom would be ideal to express it. Prof. Terunobu Fujimori told that Taian* had been designed by ‘Bricolage’ approach. In the same way, the creation with STYLY can be considered as a ‘Bricolage’. *A famous tearoom designed by the great tea master Sen no Rikyu. After that, I developed that idea in the design process and stretched the meaning of ‘tearoom’ gradually, leading me to the final concept as seen now (lol). Therefore, the story ‘wandering from an artificial town made by photogrammetry to a garden and being invited to a tearoom’ came from the concept of the actual tearoom ‘walking from ordinary life to an alley, then getting to a tearoom’. So you can see the influence of the original concept in such a part. The reason why I chose this theme ‘human scale’ is that I thought we need to think about ‘human scale’ if the world of xR space design will expand and develop in future. I created this VR work by prototyping various methods to make people sense ‘human scale’ although I don’t know whether it’s actually realized after all. — Thank you. Please tell me about the design process after establishing the concept. Discont: It took about three weeks for the creation itself. Taking the planning stage into account, it took me about a month. When making this work, in addition to Unity and Playmaker, I utilized the techniques such as photogrammetry. Partially because of my background in the Department of Architecture, I thought out the way to include the architectural 3D experience when rendering 3D space. For example, the actual tearoom has a small door called ‘Nijiri-guchi’ to access. The experience of passing through this small door makes people feel the spreading rich world in the tearoom despite such a narrow space. Simply put, I could say it’s a feeling of excitement when entering a hideaway pub through its small entrance. In my work ‘SHAPE MEMORY OF YOU’, I cared about the contrast between a small space and the spreading space beyond it when constructing the space. Once it’s done, I thoughtfully adopted some ideas such as placing a tall object near the entrance as a landmark visible from everywhere so that visitors never lose their way. — The work includes a lot of architectural approaches, doesn’t it? Is it what you cared about in this work after all? Discont: Yes. What I cared about is to follow the theme ‘How to make viewers sense human scale’ after all. Regarding this point, I think I have not achieved it yet. It’s a really difficult theme, so it would be nearly impossible to find it out by myself. Even so, I am still glad to have won the award by the work with my message ‘if the world of VR space design will develop in future, don’t forget to think about human scale’, which is what I really want to say. The difficult point was to build the structure to make people feel ‘This Space is designed in the right way’ although there was no established logical way to create an xR space design. Since I have not reached what I thought ideal either, I want to challenge it in my future work. In future, I want to translate the way to make a good xR space into a pattern language and publish it. — Than you. Please tell me about your future plan. Discont: Taking advantage of this award-winning experience, I want to reach out towards the new venue of xR space design to work on actively. In particular, I want to work on the space design in the fashion, music and art field. If xR is really popularized in future, The xR-space designer will be an essential job for sure. Then, in the field of the xR design, the designer requires not only the knowledge of design but also the sense of architectural space layout and the literacy to deal with digital contents such as Unity. To prepare myself for such a future, I want to lead this xR era as a pioneer while gaining extensive knowledge. As he mentioned, I imagine that the knowledge for the architectural space design and the skill for the technology to realized it will become important if xR is popularized in future. Although VR has already been used for business in the building industry actively, the discussion ‘What space design is required for the era when we “live” in xR space?’ is not a hot topic yet. In such a situation, ‘xRArchi’ (@xrarchi_org), a voluntary community with the theme of xR and architecture that Discont belongs to, is getting popular. What is ‘space’ for the next generation? People find out the answer by architectural approach and technology. As such creators increase, the life after the introduction of xR would be fun and ‘killer contents’ would emerge from here. It’s early to say but I am glad to draw the future with such people.